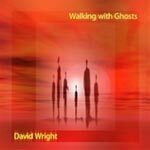 David Wright’s music was first brought to public attention in 1989 on release of his first album ‘Reflections’. It also drew the attention of Klaus D. Mueller, long time manager of Berlin school legends Klaus Schulze and Manuel Gottsching, whose POEM Musikverlag company published all of David’s output to 1994. Writing in the magazine ‘Dreamsword’, Mueller said of ‘Reflections’ that, “Of all the demos I have received, this was the first and only one I liked and still like”. Two further cassette releases followed, ‘Romancing the Moon’ and ‘Waiting For The Soundtrack’ in 1990 and 1991, as well as growing acclaim from fans of electronic music in the UK and elsewhere. This support justified the late 1991 release of his first CD, ‘Marilynmba’ followed in 1992 by ‘Between Realities’. In 1993 came the release of what turned out to be the first in a series of thematic albums. ‘Ocean Watch’ became one of the most popular EM albums of 1993 and one of AD Music’s best ever selling titles. 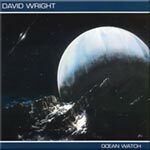 ‘Ocean Watch’ included the lengthy, adventurous and impressionistic ‘Beyond the Airwaves’ which is now considered a classic track, alongside his by now, familiar structured, melodic pieces. The success of ‘Ocean Watch’ led to a UK distribution deal with Select Music & Video distribution and growing popularity in Europe and the USA. 1994 turned out to be the most eventful year to date. Early in the year the three cassette albums were re-packaged and re-released. 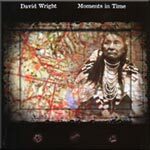 Soon after, David’s seventh album ‘Moments In Time’ appeared, featuring the epic ‘Spirit Of The Plains’ suite, which drew on the emotional interpretation of certain events in the history of the North American Plains Indians and on the culture and simple beauty of a people living in harmony with their world. It also featured extensive text by the author Joyce Cooper. Although misunderstood in some quarters at the time, and perhaps less easily accessible than his earlier output, ‘Moments In Time’ undoubtedly makes the transition from a tentative explorer to a confident, established composer with a strong sense of purpose. As well as being one of the artists most satisfying works, it has also proved to be one of his most commercially successful, and music from the album regularly featured at the London Planetarium. David also found time for involvement in the album ‘Phase One’ by Enterphase. Subsequently, the USA duo of Jeff Filbert and Fred Becker joined AD Music. This sowed the seeds for the future and the forming of AD Music Ltd. Although all of this would have easily counted as one years output for most people, a second album, ‘Albania – The Korce Project’ was also released. This was planned as part of a fund raising drive for the impoverished children of Albania in conjunction with The Body Shop However, circumstances beyond the control of the artist led to the cancellation of the project. 1994 also heralded his first major public performance, at the Guildhall Derby, when, as part of the BBC Radio Soundscapes series he gave a hugely successful joint performance with Robert Fox within a spectacular audiovisual setting. David also appeared at the 2nd EMMA festival in Derby as part of the intended promotion for the aborted ‘Korce Project’. His improvised sets were quoted as being “An oasis of beauty”, and received much critical acclaim. 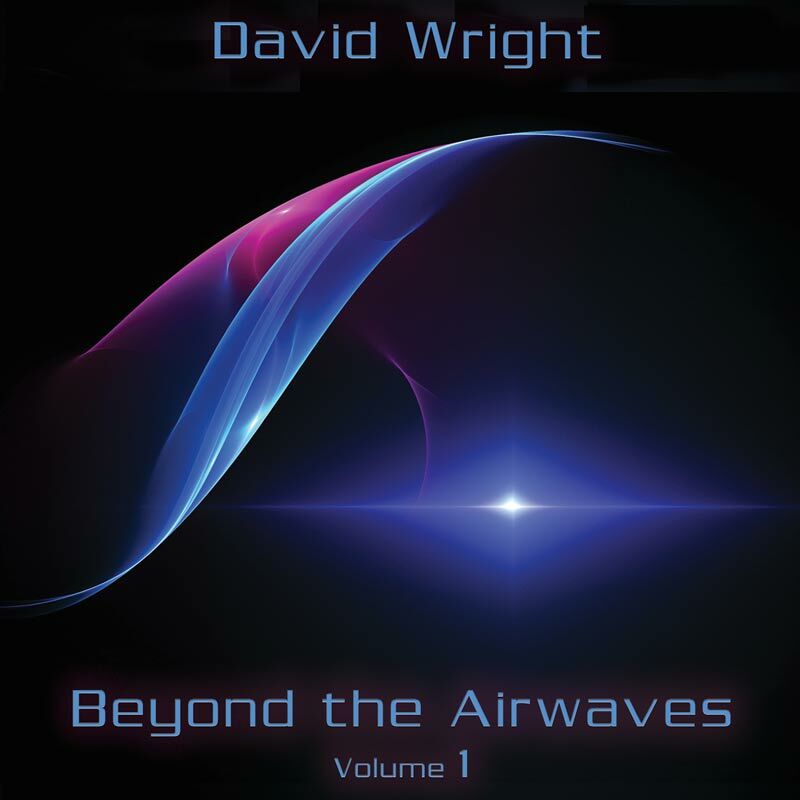 Without a doubt, 1994 was the year which firmly established David Wright amongst the elite of the reviving British electronic music scene. ‘Albania (The Korce Project)’ did appear, briefly, as a specially packaged limited edition cassette with a book of poetry by Keith Bromley. It allowed the fortunate few who acquired it a glimpse of a very different album to ‘Moments In Time’, with short, immediate tracks very much in evidence. The album also had the distinction of closing with ‘Meeting at Trevalyn’, his first collaborative composition with Robert Fox. However, along with the success, the inevitable pressures led to problems behind the scenes, which musically express and exorcise themselves in the 1995 release, Dissimilar Views. A determined break from the past, both visually and stylistically, ‘Dissimilar Views’ gathers up the best of the aborted ‘Korce Project’ and adds several new tracks, including the astonishing, abstract title piece. 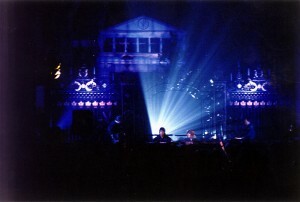 1995 produced a heavy schedule of live performances, including the Mark Jenkins UK Electronica in London. Later in the year, another Derby concert, this time to help promote Bekki Williams, plus an invitation to play two nights at the London Planetarium with Jonn Serrie. David’s growing maturity both musically and as a live performer were evident when he was joined by guitarist Nik Smith and they performed a cleverly interwoven selection of old and new material which proved a huge critical success. Unfortunately, such was the intensity of their schedule that they even had to turn down an invitation to play at the 3rd EMMA Festival in Sheffield. Also during 1995, David assisted friend and business partner David Mantripp in the formation of the new AD Music Limited Company and negotiated a publishing contract with Notting Hill Music Publishing on behalf of his own music and others on the newly formed label. He took charge of the compilation and editing of the labels first release, ‘1995AD’, featuring new artists. Exclusive to this well received Limited Edition Sampler were ‘Overture’ and ‘Finale’, his live collaborations with Robert Fox from the earlier BBC Radio Soundscapes concerts. David also assisted Bekki Williams in the editing and mastering of her debut album, ‘Elysian Fields’. Despite this unbelievably hectic workload, David was still able to continue work on the collaborative album ‘For Whom The Bell’ with Robert Fox, a project which had actually begun late in 1994. In fact, although retaining its original concept, the album had moved away from anything that either artist had done before. 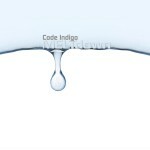 The introduction of Vaughn Evans (keyboards) and Nik Smith (guitars) had not only given the music a new dimension but had given birth to the collective Code Indigo. The album was to prove AD Music’s most commercially successful releases, receiving universal critical acclaim. The track ‘FWTB14’ was to feature on a massive selling Sony Music compilation and introduce the band to whole new audience. The first few months of 1996 were again busy for David Wright, with his active participation in the official launch of the AD Music Ltd. label on April 27th, at the Derby Assembly Rooms. The all day festival, headlined by Klaus Schulze, saw the live premiere of ‘For Whom the Bell’ by Code Indigo. This performance firmly established the band as one of the leading instrumental groups within the UK EM scene and prompted BBC Radio Derby’s Ashley Franklin to dub them “the classiest instrumental rock band on the planet”. 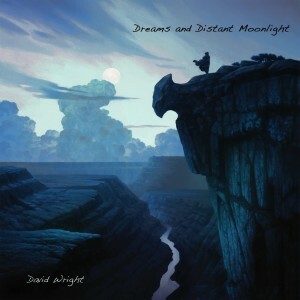 On May 10th & 11th, David Wright (with Nik Smith) headlined two 75 minute concerts in Germany at the Berlin Planetarium, as guest of Mario Schönwälder and Detlef Keller, followed by a series of smaller gigs around the UK during late 1996 to promote ‘Live at The London Planetarium’, David’s first Live album, which has already been critically acclaimed as his most accomplished work to date. Involvement with Code Indigo continued with preparation for the Derby Cathedral concert in October, which proved a huge critical success as the band showcased material especially written by David Wright and Robert Fox for the event. The early part of 1997 saw continued involvement in the administration of AD Music Limited, whilst musically, with Code Indigo, there was preparation for the eventful and hugely successful concert in Duisburg, Germany, attended by 1000 fans. A subsequent limited edition ‘Official Bootleg’ of the concert was released in August 1997, entitled simply ‘Live at Duisburg’. 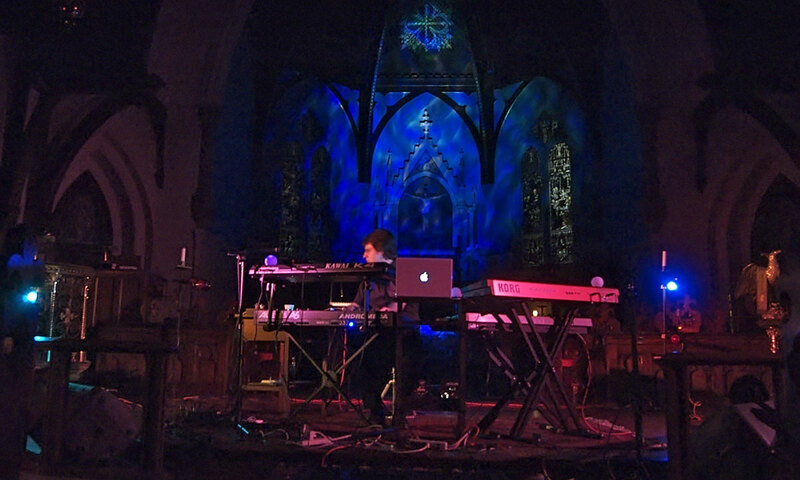 During this period, David also assisted Bekki Williams in the production of her second release ‘Shadow of the Wind’ and additionally, found the time to perform several solo concerts, including the UK electronica in London, when he presented his ‘Hypnosis’ set. ‘Hypnosis’ represented a definite change in direction for David Wright, but the enthusiastic response strongly indicated that fans were not disappointed with his new ‘direction’. ‘Hypnosis’ was scheduled to be David’s 1997 album release, but such were his commitments that it was not until February 1998 that he was able to commence recording and editing. By this time, the seeds had been sown for ‘ThreeSixZero’, released in July 1998. Unquestionably his most diverse and accomplished work too date, the album combines modern and trademark sounds, utilising guitar, violin, male and female vocalists, and Eastern and Western rhythms to truly stunning effect. 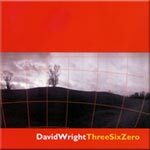 The album also prompted several reviewers to comment that, “ThreeSixZero firmly establishes David Wright as a musician, not just an electronic music artist in an overcrowded scene!” The music also proved very popular for TV use, with numerous tracks featuring on major USA, European and SKY programs. Unfortunately, 1998 to 2000 was to prove a particularly difficult period for David and for AD Music, with litigation and court cases fought to obtain money owed for distribution in the UK and the USA. Although ultimately successful, the experience drained and disheartened David and indeed all associated with AD Music in just about every way and nearly led to its demise. 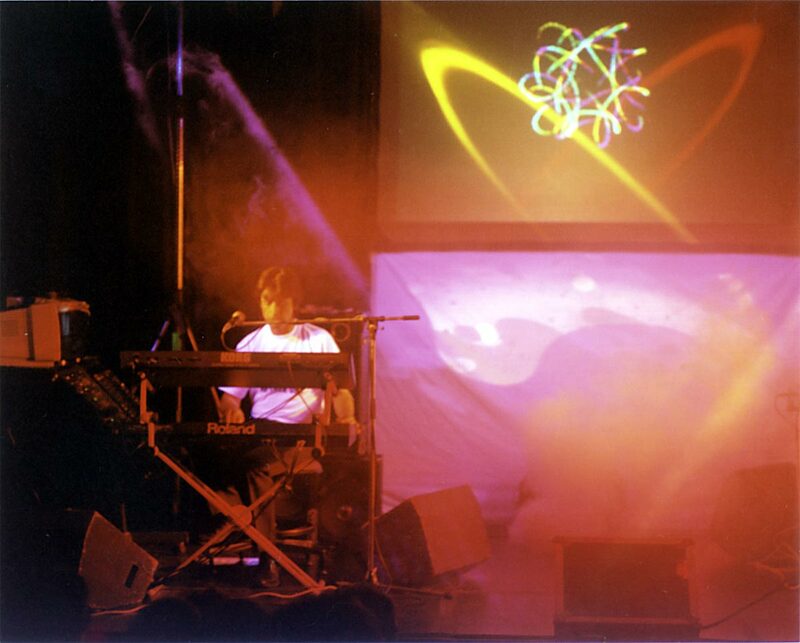 Despite these problems, 1999 saw the release of the 2nd Code Indigo studio album ‘Uforia’, followed by a low key concert in London during September, where the live premiere was accompanied by a specially prepared visual and video backdrop. During 2000 David coordinated the release of the Special Edition (2000 copies) 4 CD box set ‘Blue’, which includes the 1997 ‘Hypnosis’, concert and the previously unreleased collaborative work with Robert Fox. 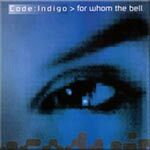 The music from ‘Blue’ also included the acclaimed Code Indigo concert recorded in October 1998 at Derby Cathedral which many still consider the band’s finest live appearance. David was working on a project he’d begun in 1998, that had in fact come out of ‘ThreeSixZero’. That music was to culminate in his most critically acclaimed and commercially successful album to date – the 2002 release ‘Walking With Ghosts’. This album was a triumph, combining beautiful themes with strident rhythms and great atmospherics. It was album of the year for many outlets and radio shows worldwide. David premiered the album in concert at Jodrell Bank in July 2002. 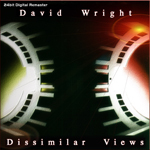 Also during this period, David re-mastered his original three cassette albums and “Dissimilar Views 2 – The Korce Project” in its originally intended double CD format, all for digital release (these titles were available for a short time as CDr but are no longer available). Also, late in 2002, David got together with Robert Fox and Dave Massey to write the 3rd Code Indigo studio album “TimeCode”, an album that was to receive much praise and interest from fans and media alike. The reformed, new look band premiered the album at a successful concert at the National Space Centre, Leicester in July 2003 and played a living room concert for USA Echoes radio in September the same year. 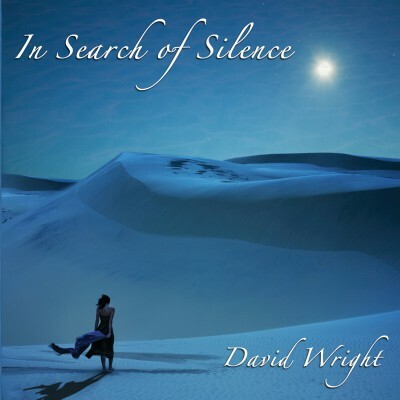 With AD Music once again resurgent, David was able to devote his time to music and In June 2004 he released his 15th solo album, Continuum, an unashamed homage to the electronic music of yesteryear. 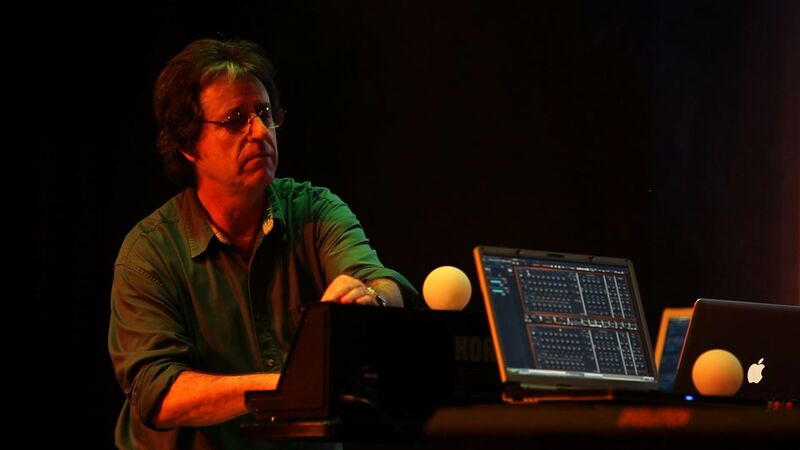 Unlike the deeply emotive “Walking with Ghosts”, Continuum took just six weeks to record and is, in the words of its creator, “A rhythmic, electronic space music album on a voyage of discovery”. While working on Continuum, David also found time to collaborate on a brand new project with Dave Massey under the pseudonym “Callisto” and late in 2004 the projects debut album “Signal to the Stars” was released. The album received universal praise and strong comparisons with the best of Tangerine Dream. Callisto premiered Signal to the Stars at The National Space Centre in September 2004. 2004 and 2005 also saw a lot of activity on David’s AD Music label. Indeed David was to personally compile and edit his own “Best of” compilation “Returning Tides”, plus the AD Music compilations “Ocean of Light” and ‘Sacred Skies’, and the Robert Fox compilation ‘Timeless’. In addition, along with Dave Massey, David compiled library and TV soundtrack CDs for Publishers Notting Hill.In 2005 David released his 17th solo work ‘Deeper’, an album of lush orchestration and gorgeous, poignant melodies that many have cited as one of his most accomplished works and equal to the classic Walking with Ghosts. The period October 2005 until December 2006 proved to be one of the most hectic periods too date, commencing with preparations for the new Code Indigo album ‘Chill’ and a National Space Centre concert on 27th May 2006. 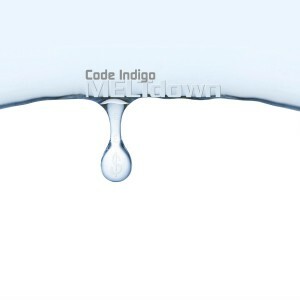 Code Indigo also headlined the e-live festival in Eindhoven on 14th October 2006 and played a final UK concert in East Anglia during November culminating in the double live Code Indigo album ‘In Concert’. David also performed a series of solo concerts during 2006, including Bochum Planetarium in Germany, a National Space Centre concert in Leicester and a benefit concert in his home town of Bungay, culminating in his 3rd live album ‘The Tenth Planet’ (the title reflecting it was David’s 10th Planetarium concert). The end of 2006 and beginning of 2007 continued with a series of new projects; The new Callisto album ‘Nyx’, received modest response although the live version following the Hampshire Jam concert appearance faired somewhat better. 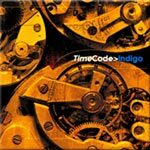 The download album ‘Before Time’ with Robert Fox was an interesting curio for fans, as it showed the music the pair wrote for Code Indigo’s ‘Timecode’ album before the rest of the band became involved. During a very busy and musically productive year, David also gathered up tracks from live and aborted projects to release ‘Sines of Life’ Volumes 1 which featured some new studio tracks alongside the live performances that included input from Ian Boddy, Nigel Turner-Heffer, Robert Fox and Klaus Hoffmann-Hook. Volume 2 was a double download release only. Toward the end of 2007 David went back to the studio to record what was to become the acclaimed and award winning ‘Dreams and Distant Moonlight’ CD, winner of the German Schallwelle Best International CD for 2008 award. 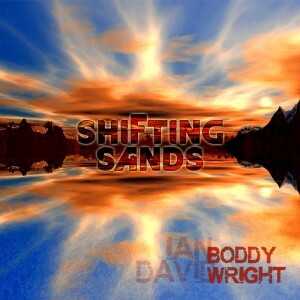 Later in 2008 came the release of ‘Shifting Sands’ featuring his long time friend Ian Boddy. This was a critically very well received album and the pair were joined by Klaus Hoffmann-Hook for several European concerts, including an AD Music sponsored event at Derby Guildhall and the Electronic Circus event Germany. The latter was to spawn the excellent ‘Electronic Circus’ DVD. There was also a bluesy, new age collaboration with Nigel-Turner-Heffer and Geigertek under the pseudonym ‘Trinity’ titled ‘Walking with Angels’. Unfortunately, despite receiving good press from the mainstream media, the album sold poorly. In 2010 David released a Best of Vol 2 titled ‘Into the Light’ which featured some of his more mediative works plus some newly recorded music. Then in 2011 David released one of his most acclaimed and most personally satisfying albums, ‘In Search of Silence’, The album featured some David Wright at his best, combining melodic rhythmic and ambient to great effect. The period 2012 – 2015 was particularly hectic with numerous live events, including another series of USA concerts and the new AD Music E-Scape festivals, which succeeded the defunct Bungay Bash events. Musically, David’s time was split between his solo work and Code Indigo, whilst on the business front, David was deeply involved helping AD Music deal with the effects of the evolving music industry. In 2013 he started working with the talented local folk singer Carys, who provided memorable ambient vocal textures on both David’s and Code Indigo’s albums. There followed three of his most mature and critically acclaimed albums; ‘Connected’, released in 2013 and then ‘Beyond the Airwaves Vol 1’ and Beyond the Airwaves Vol 2’, released in 2014 and 2015 respectively. David also wrote and produced much of the Code Indigo album ‘MELTdown’, a Pink Floyd style political statement on the financial crisis. 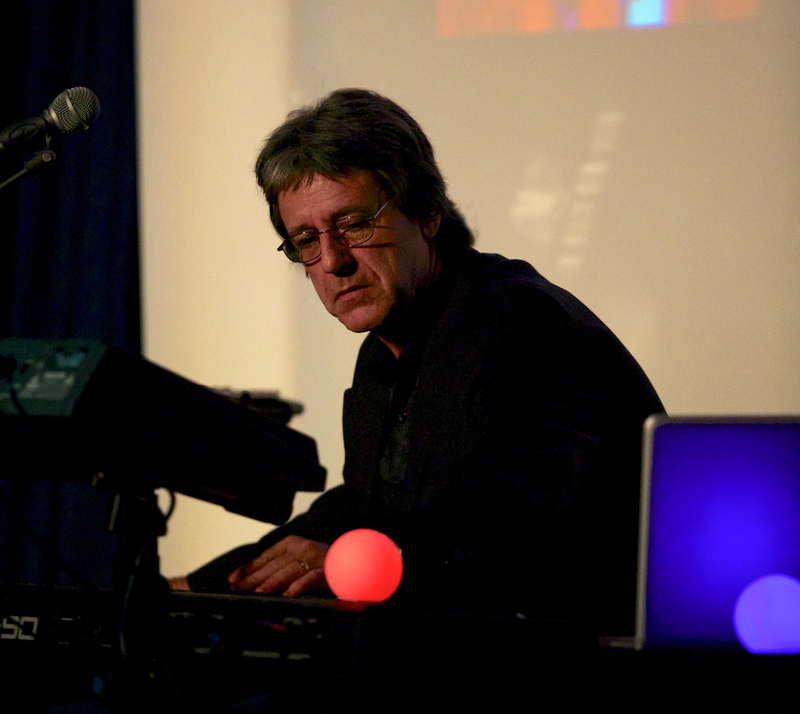 The album was premiered in Holland and the resulting concert, along with stunning graphics compiled b y Nigel Turner-Heffer, was released on DVD. In 2015 David produced what was seen at the time as the final Code Indigo CD ‘Take The Money and Run’, which reunited Robert Fox with the band, although they have since agreed there could be a final album, but no more Code Indigo concerts. In late 2015, David began streamlining AD Music to afford more time for his solo music projects and library music. Plans are also underway for a special UK concert in 2016 and European events in 2017 and hopefully the USA in 2018 where Carys will join David to add her distinctive ambient vocal textures to the music.